Have you been looking for a way to gain complete control over your retirement funds? Many of us are, and a great way to get this type of control is through the use of a self directed 401k. This gives you the freedom to invest your funds where you want, and gives you freedom to invest how much you want as well. The self-directed 401k is best suited for someone who is self-employed, yet has no employees under him/her. Think of it as a retirement account that is made to perfectly fit your needs. While this may seem like the perfect setup for all of us, there are indeed some factors to be aware of. 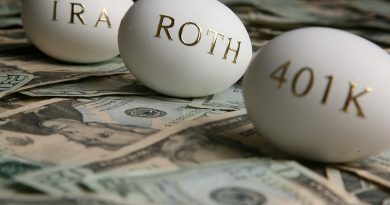 It is important that you investigate all the ins and outs of the self directed or solo 401k plan. You may not like some of the self directed 401k rules and everything it entails. To give you a better perspective, here are some pros and cons to consider. There are a few upsides to pursuing a 401k self directed. Despite the slide of the economy over the past few years, the desire from individuals to pursue self directed 401k plans is continuing to grow. Many companies – both large and small, are starting to offer the plan. This is a nice option, considering not many employers ever offered something like this. Another fantastic option the self-directed account affords you is the potential for increased investment options. This is particularly nice if your current 401k plan doesn’t offer a good selection of mutual funds, or if those current funds are not performing how you would like them to. A self directed plan will more than likely allow you to find funds that are performing better, or to buy individual securities. While all of this seems to be perfect, there are a few setbacks to such a setup. It sounds like a plan that everyone would want to participate in, but the fact of the matter is that there are some pretty obvious risks involved with the self-directed plan. One of the main setbacks is all of the added responsibility that the self directed participant will have on their shoulders. Choosing from all of the available funds can be daunting, especially if you don’t really understand what to invest in. Conversely, you may only choose one or two options, which may greatly affect what your portfolio does. If you put too much money in one option, then you are increasing the chances of your portfolio dropping, or rising, depending on a singular investment. Another drawback is the temptation to trade options too frequently, based on how the market reacts on one day. This is not wise, as you will lose money because of trading fees. You will need to learn how to pick the best options, and when to ride them out even when the market is struggling. One last thing to also consider is participant fees may go up, depending on what fees have to be paid. You will eat all of the fees of a self-directed plan, as your company will not be responsible for taking on these fees for you. 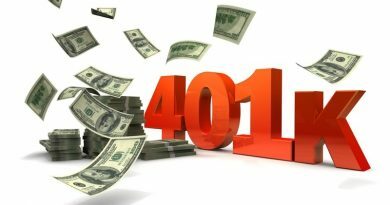 A self directed 401k has a lot of upside to it, but it also has some negative aspects that have to be handled properly. Do your homework to really see if this type of investment is right for you. 401k Investing: How Much is that ETF in “the Window”? Forget A 401K Rollover, I’m Cashing Out!